Thom Jones, who made Washington state his home, wrote some of the best American short stories ever. A new collection celebrates his legacy. Thom Jones wrote some of the best American short stories ever. He also spent most of his adult life in Washington, first in Seattle and for the last 30 years or so in Olympia, where he lived with his wife and daughter and worked as a janitor at North Thurston High School before his breakthrough in the 1990s. Some of his most beautiful pieces — “Silhouettes,” “Tarantula” and “Cold Snap,” a story that’ll melt your icy blue heart — are set in schools and hospitals just like the ones around Puget Sound. So why isn’t Jones, who died two years ago at age 71, as famous and beloved as Raymond Carver? They both struggled with alcohol and poor health, attended the University of Iowa Writers’ Workshop, found success relatively late in life, wrote about regular people who tried but didn’t always make it and were masterful short-story writers who never published novels. But only Carver is revered by Haruki Murakami and other literary superstars; his grave in Port Angeles attracts fans from around the world. Jones’ death did not go unnoticed. Joyce Carol Oates wrote a lovely tribute in The New Yorker and his obituary in The New York Times (“Janitor Turned Acclaimed Author”) was respectful. But unlike Carver, who died of cancer at the height of his fame in 1988, Jones’ last book came out 17 years before his death. While he had some notable magazine publications over the last decade, the glory years of four straight appearances in “Best American Short Stories” were long past. “Night Train: New and Selected Stories” is a most welcome chance to celebrate Jones’ legacy. It’s a greatest-hits collection, featuring the best of his three books (“The Pugilist at Rest,” “Cold Snap,” and “Sonny Liston Was a Friend of Mine”) and seven stories written since “Sonny Liston” was published in 1999. All of Jones’ obsessions — Vietnam, drugs, boxing, fractured families, manual labor, dogs, death — are gathered under one roof in a glorious cacophony, elbowing each other and demanding to be heard. 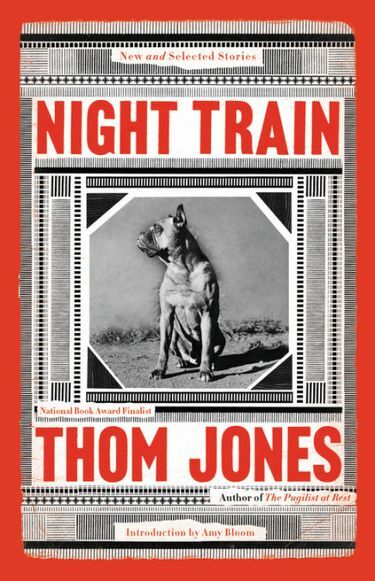 It’s tempting to compare the first stories in “Night Train” — “The Pugilist at Rest,” “I Want to Live!” and “Mosquitoes” — to the new ones, to say that Jones didn’t change his style or develop as a writer. A more accurate take might be that his early stories are so good that it was hard to match them or escape their shadow. I interviewed Jones at his home in Olympia after “Sonny Liston” first came out. He was a fire hose of stories and free association who played with his dog and gave himself an insulin injection in the stomach and shared his worldview.